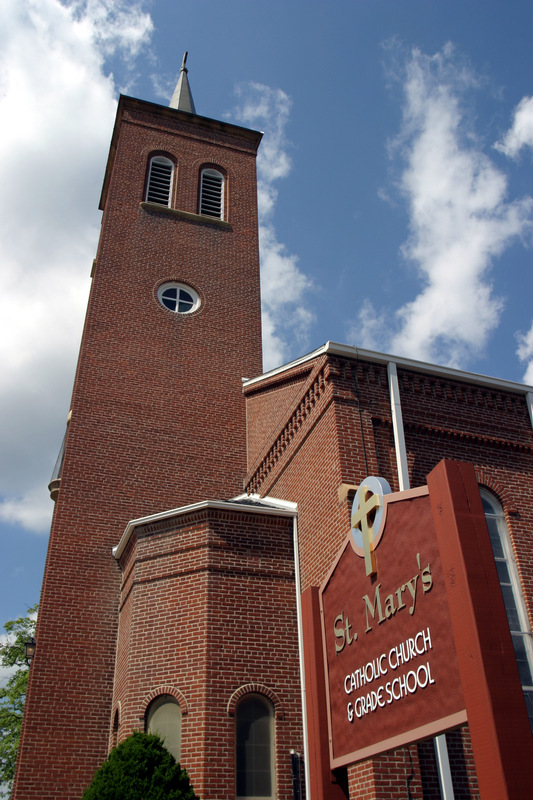 Welcome to the Cathedral of St. Mary of the Annunciation Roman Catholic Church! We believe our parish is a sacred place where human and divine meet, where people of all ages gather to grow in the knowledge and love of our Lord Jesus Christ. We encourage you to be a part of our parish family as we receive spiritual nourishment, guidance, inspiration and strength. We ask you to join in our spiritual journey where we share each other's joys and sorrows, help those who are struggling and hurt. We invite you to make new friends, to reach out and invite others to be a part of our community of believers.If it's been awhile since you've been to church, click here for more information. We invite you to explore our website, and check out our Facebook page and most importantly stop by and visit Jesus in church! You are always welcome! Lent is a season of following Jesus' journey to our salvation. We walk with him on the road to Calvary, we fast and abstain from earthly pleasures in order to appreciate what Jesus did when he died for us on the Holy Cross. We celebrate on Holy Thursday Jesus' offering of the First Eucharistic Meal and rejoice on Easter Sunday that He was conquered death and opened the gates of Heaven. God loves each and every one of us. Return to Him with your whole heart! Sign up for FORMED through our Parish. A free internet resource for books, bible studies, Church teachings and more for the entire family! To sign up for FREE, just visit us here: https://stmarycathedralcape.formed.org.To sign up for FREE, just visit us here: https://stmarycathedralcape.formed.org. Keep up with our parish family here by viewing news announcements, activities, pictures and videos. Our parish has set up the ability to tithe and make donations electronically. It’s easy to set up with our safe and effective offertory system. Get involved in our parish with liturgical ministries, church activities, and membership. We, as Catholic Christians joyfully worship God in faith. We learn, live and share our faith with others, with Mary as our Model. We listen to the Holy Spirit and use our gifts and talents as stewards to love and serve God and one another on our faith journey. St. Mary Cathedral is blessed to host the Relics of St. Padre Pio on May 1, 2019 from 9:00 AM to 7:30 PM. Mass will be celebrated by Bishop Rice at 12:15 PM. The Sacrament of Reconciliation will take place between 5 and 7 PM. Thursday, March 14, 2019, the Relic of St. John Vianney visited the Cathedral of St.Mary's. St. Mary school prayed the rosary and you can watch the video below. Video of school children praying the rosary See more photos here.